Despite receiving death threats, he was not given any protection. Coming to terms with Islamic radicals, the government will let them challenge Asia Bibi’s acquittal. Imran Khan’s speech in defence of the ruling has “been consigned to the dustbin of history". Islamabad (AsiaNews) – The lawyer who defended Asia Bibi and saved her from being hanging for blasphemy left her country this morning. After receiving death threats from Islamic radicals, he feared for his life. 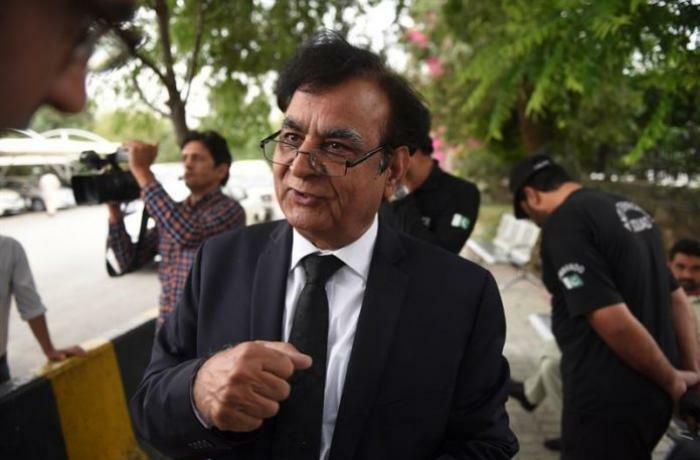 Saif Mulook, 60, managed to convince the Supreme Court to rule in favour of the Christian woman, who spent more than eight years in prison. Since the publication of the verdict, groups linked to the Islamist Tehreek-e-Labbaik Pakistan (TLP) party have paralysed many of the country’s cities with demonstrations, roadblocks and threats. To end the unrest, the government came to terms with the group last night, banning Asia Bibi from leaving the country, accepting a revision of the sentence, and freeing all the demonstrators arrested in the past few days. Mulook told news agency AFP he decided to leave as it was "not possible" to continue living in Pakistan, adding: "I need to stay alive as I still have to fight the legal battle for Asia Bibi." Despite threats to his life, Pakistani authorities refused to provide the lawyer with police protection. He said that everyone expected a violent reaction from the radicals, but not the government’s failure to enforce a ruling by the highest court in the land. According to Mulook, after the agreement between the government and protesters, Asia Bibi’s life will not change much. Although she was released from prison, she cannot go abroad and so will live in permanent custody or in a security prison. Two days ago, Prime Minister Imran Khan had given the impression that he was willing to take Islamic radicals head-on by accusing them of offending Islam. Today, many newspapers criticised him for caving in. In an editorial, The Dawn wrote that “yet another government has capitulated to violent religious extremists who neither believe in democracy, nor the Constitution”, thus consigning his speech to “the dustbin of history”.